In order to meet different clients’ requirements, we have a wide range of equipment with capacities from 300 kg to 100 metric tons. 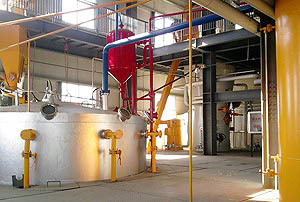 When refined, oil grades may qualify as Grade 1, Grade 2, Grade 3 or Grade 4. There are two technologies: one is batch, the other is continuous. 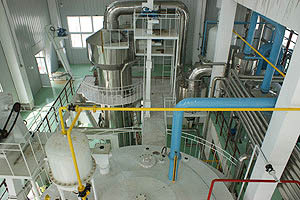 Normally we adopt batch-type processing for capacities less than 20 t/d. Otherwise the process adopted is semi-continuous or continuous. We continue to research new equipment. KMEC develops equipment designed to be fully automatic, utilizing advanced technology that can be combined according to different clients’ requirements. 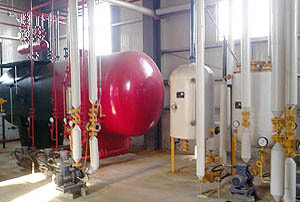 The latest refining equipment consists of many single units and has a self-contained heating system which saves energy since it does not use a boiler. This equipment requires a smaller workspace and costs less. 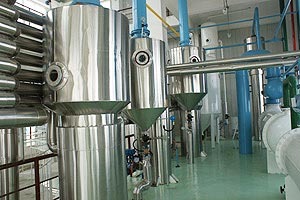 Furthermore, it has a wider range of functions and can be used to produce Grade 1, Grade 2, Grade 3 and Grade 4 oil.